Nothing can stop me from becoming a civil engineer – not my deformed spine and not my classmates who bully me for it. 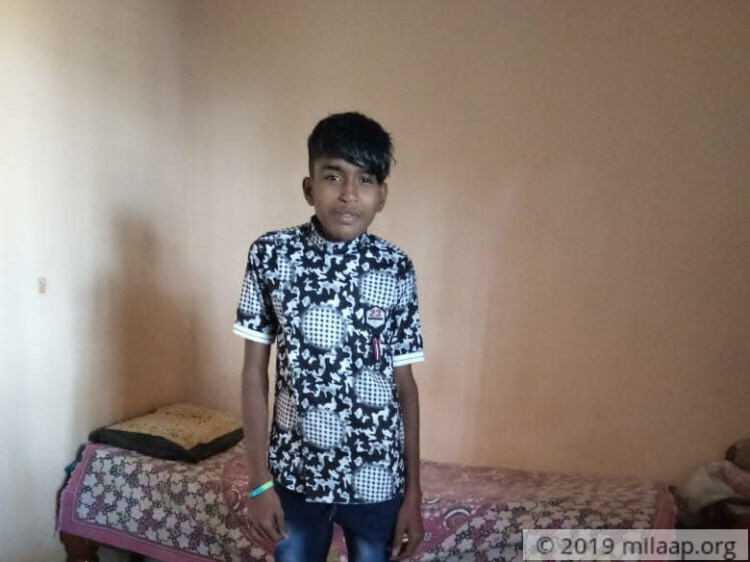 I found out that I needed surgery for my back during my class 10 board exams, but I was determined to give my exams and get into college. I knew my parents could either afford my education or the surgery, and I rather have them spend on my education. For two years I told them not to worry. If only my condition did not worsen, I would have earned money myself to get the treatment. Now the doctors tell me that I need surgery soon. 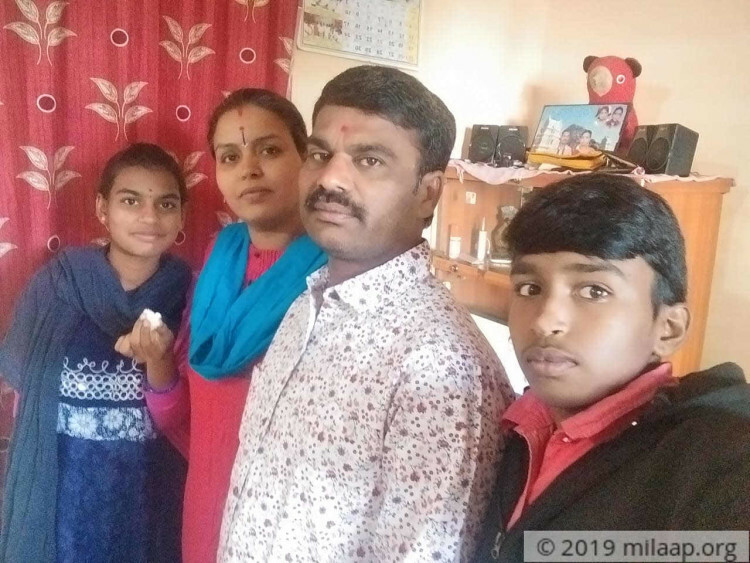 Growing up in my grandmother’s house near Madhugiri, I was always aware of my parents’ financial difficulties. My mother, Lalitha is a flower vendor and makes around Rs. 200 per day and my father, Lakshmi works as a construction worker and earns Rs. 350 per day. They couldn’t afford my education, so they sent me to live with my grandma. It was then that I knew I had to work hard to support them. I would stay up all night studying. However, two years ago my life changed. My back and shoulders started hurting if I sat for even half an hour, I had trouble breathing and even walking. It was only the beginning. 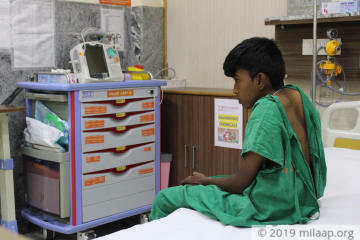 Shashikumar (16) has congenital scoliosis, the sideways curvature of the spine that is caused by a defect that was present at birth. 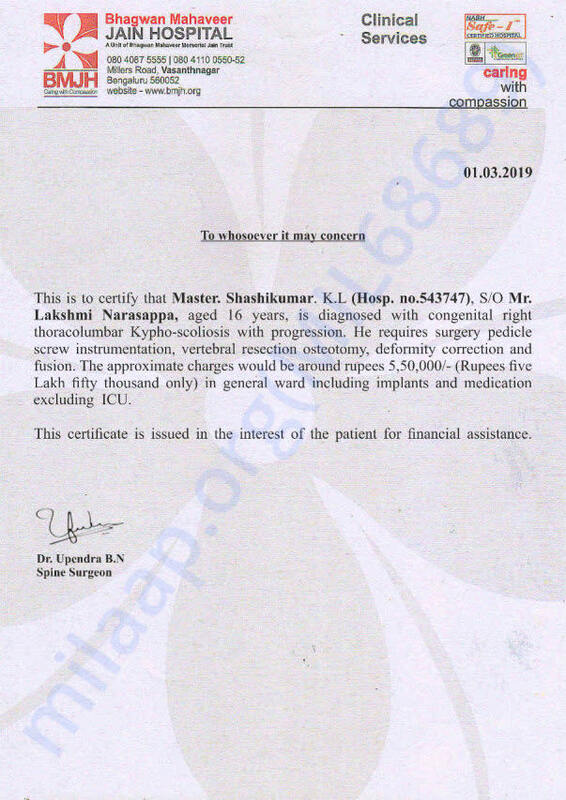 However, Shashikumar’s symptoms did not start showing until two years ago. Now, his posture has changed, he has a hunch, and his spine is bending more with each day. By the time I joined college for my diploma in civil engineering, my spine was already bent. My classmates make fun of me every day even now. I’m shorter than them, I can’t jump or run as they can, so they sometimes take my notebook and throw it around, asking me to catch it. It doesn’t trouble me anymore. I can’t let any of this break my spirit. I try to focus on my course, but I have to sit for hours to draw and now it’s becoming more difficult with each day. I can’t sit for even a few minutes without being in pain. My condition is only getting worse. I can’t put off the surgery any longer. It’s the only way I can fulfil my dreams and live a healthy life. My parents have sacrificed a lot for me to be able to get a good education, I’ve worked hard all these years. I don’t want to let my bent spine stop me from achieving my dreams. 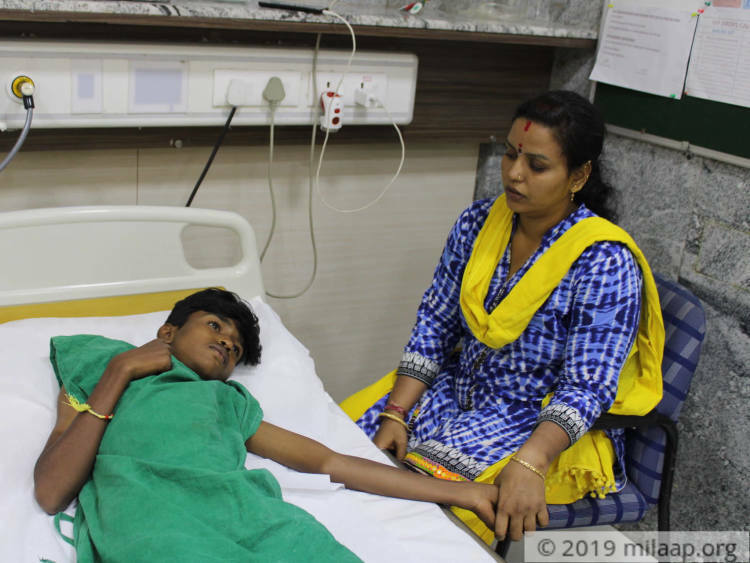 My parents are too poor to afford my surgery, only you help can me. 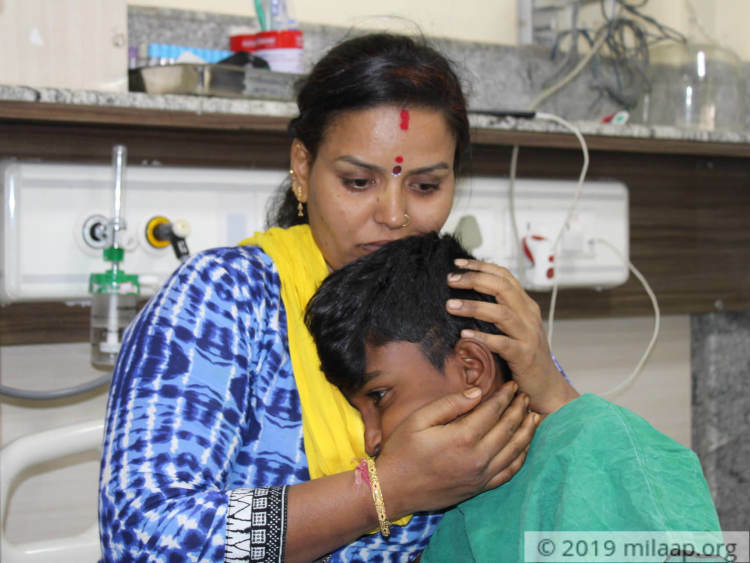 Shashikumar needs a surgery for his deformed spine, but his parents can't afford the treatment.